click on Amanda Gray’s artwork to book being at the opening. 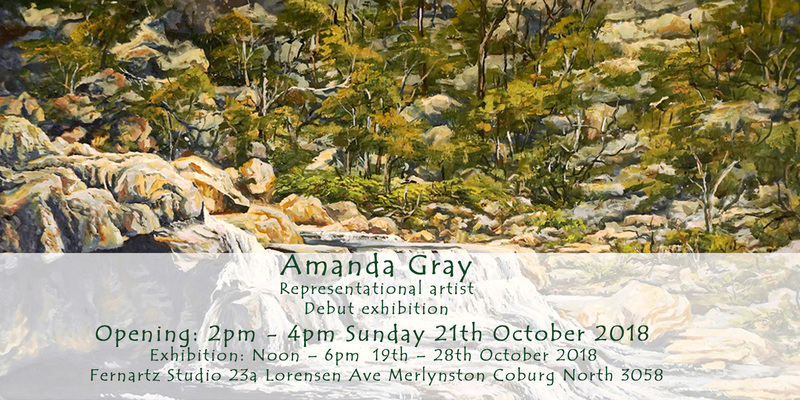 Amanda Gray a representational artist who cares deeply on the environment around her “the beauty, fragility and vulnerability…” (Gray 2018). This is demonstrated in the detailed work of “McKenzie Falls” 2017 Oil on canvas 60x90cm. McKenzie Falls are located at the Northern Grampians Rd, Zumsteins VIC 3401. Gray works mainly in the mediums of oil, pastel and water colour. Coming to the opening ?